If you have any questions at all, please contact our friendly team on 1300 798 779. 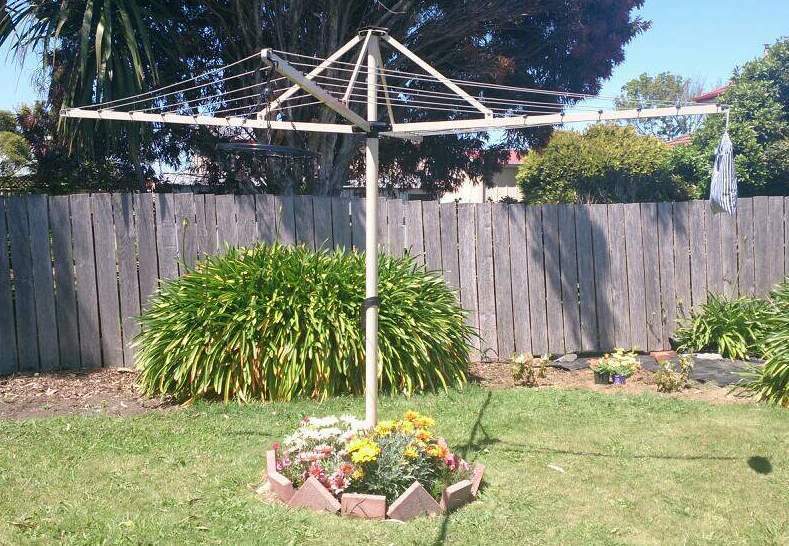 A cleverly designed rotary clothesline that offers the best, environmentally friendly and low cost outdoor drying solution. The Daytek M32 Rotary Clothesline is ideally suited to smaller families. Designed to dry multiple loads, it has five (5) lines which provides a generous 32m line space. And with just 3.2m head diameter, it is compact enough to fit in the smallest of backyards and courtyard. Daytek Rotary Clothesline comes with pre-strung and pre-tensioned lines ready for installation. It also includes a ground mount socket featuring three (3) installation height with 120mm of adjustment. The rotary frame is manufactured from high strength galvanised steel and powder coated in a range of colours. The rotary head, with adjustable drying height of 260mm, can be folded down. The entire clothesline can be easily removed from the ground mount socket for storage when not in use, giving back valuable yard space. ﻿Note:﻿ The new colours are special order products with a production time of around 10 days. When you place an order, we will estimate delivery dates for you based on the availability of your items and as a general rule we make every effort to have most orders delivered within 2 - 9 working days from date of order depending on your location within Australia and the product purchased. Please keep in mind some products are of a 'Made to Order' nature and may take a little longer. Rural and regional areas can take longer, up to approx. 12 - 19 working days. If you have ordered installation or want to have your new clothesline installed by one of our professional installers, please see the steps below which outline the order/installation process. Step 2. Your order will be processed within 24 hours (Mon - Fri) and the details of your order are then sent to the warehouse and the appropriate installer. Step 3. Depending on the product you have chosen and your location the clothesline will either be picked up from the warehouse or sent by courier to the installer. Step 4. Once the clothesline installer has the clothesline and he is ready to do your installation, he will call you directly on the phone number provided to arrange the installation day with you. Please make sure you provide the most contactable phone number/s. The installer will bring the clothesline with him on the day of installation. Step 5. This process generally takes approx. 1 - 3 weeks depending on seasonal demand. String was a bit loose but good other than that. Exactly what I wanted - hasn't had much use as yet but was easy to install and set up and looks really good.